Again in 2018 there will be another Night of Sciences. Get inspired by contributions from various fields. 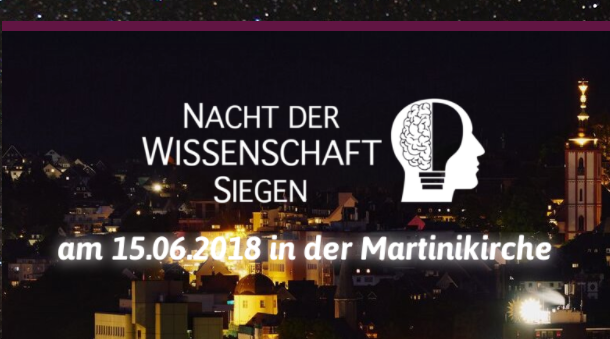 The Night of Sciences is organized by the Faculty of Science and Technology of the University of Siegen. Well-being concerning food will be guaranteed!